Race for the Cure is the largest series of 5K run/walk series in the world. This fundraiser enables Central Mississippi Susan G. Komen to provide free life saving mammogram, treatment and support services to uninsured and underserved women and men in Mississippi. serve 250-300 survivors and family, clean area after event. 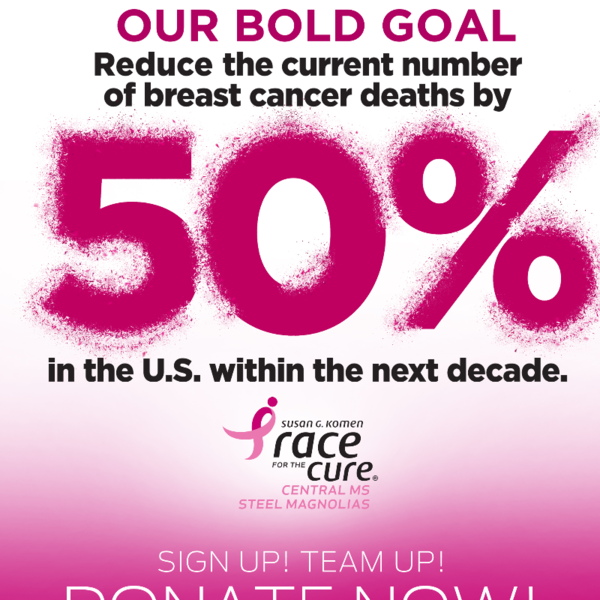 Log in to see who is volunteering for Race for the Cure!